penguins in a polaroid! love! 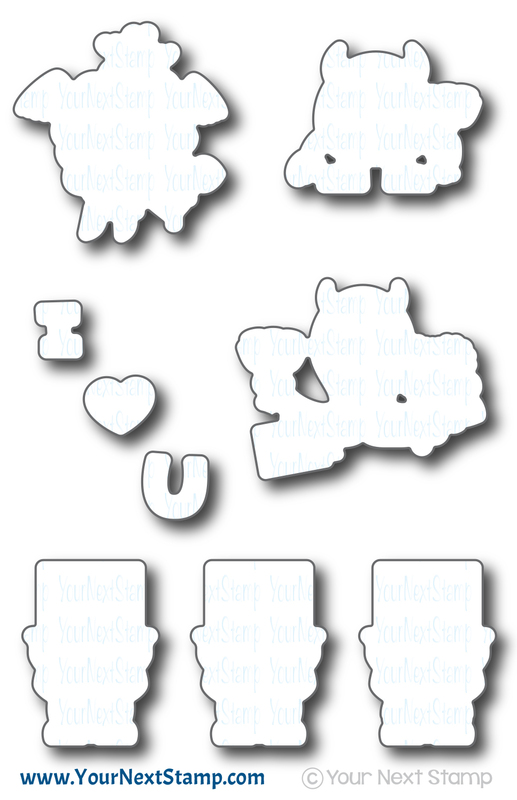 Perfect <3 day cards, the monsters are cute and silly and the penguins are just cuddly and adorable! I love your design with the cupid silly monster and the sign holders! And oh the heart ice berg looks awesome in soft pink Deborah. those monsters at the bottom of the card are fantastic! love them! penguins in a polaroid die. And love the sweet BG papers. both cards are very cute!!!! So cute and fun! I love those adorable penguins! Super cute cards!! I love the papers on both of them, especially the lip paper!! Cute new sets and I love the cards you created with them. Love the "polaroid" of the penguins! Oh my gosh, these cards are absolutely adorable! Makes me say "Awe". Love both cards! Great cards, Deborah. Love this little penguin couple! Cute monster card and sweet penguin card. Hi. I love your cards, you did an amazing job. The penguins are sooo cute!! Both cards are so sweet for Valentine's Day! These are both so cute! Perfect for Valentine's Day! Oh, my, I love these!!! These are both so adorable!!! Love the color combo you used; so beautiful! 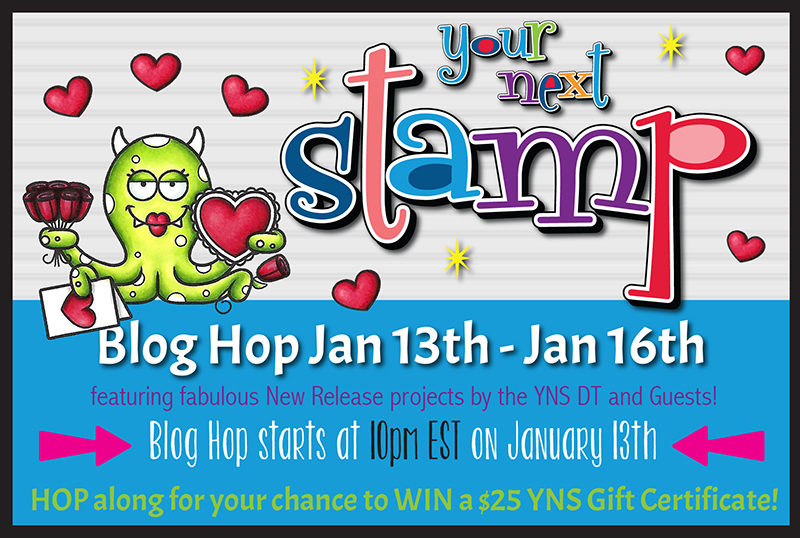 Love both of your cards and both of those stamp sets! Two adorable cards! Those monsters are so cute in all the shades of pink. Beautiful cards!! these stamps are the absolute cutest!! Those Penguins just can't get any cuter. Or can they? Charming cards! They are just perfectly sweet and adorable. Love them! These are beautiful Deborah, love the images and pinks. Adorable cards! Love the new patterned paper and monster stamps! 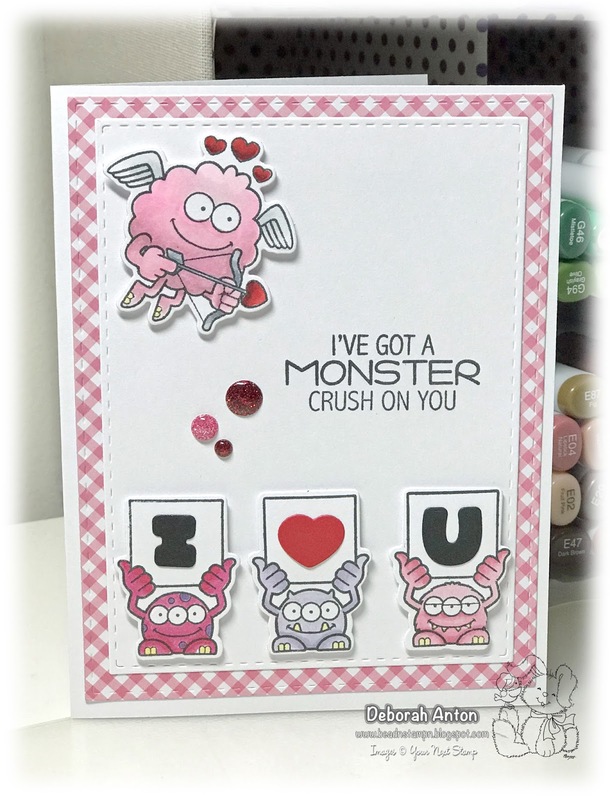 Sweet Valentine's cards -I really like the cute monsters. Super cute cards! Great job! 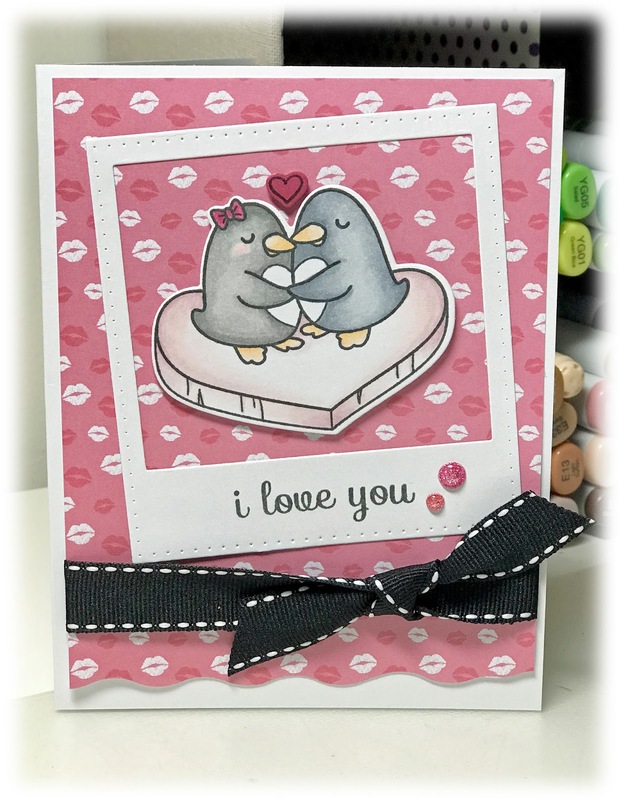 super sweet and adorable cards!